Could Employee Stress Be Holding Your Company Back? (Editor’s Note: Today’s post is brought to you by SilkRoad, a global leader in cloud-based talent activation solutions. You’ve been a manager for some time, and you have a pretty good read on most people. Or, at least, you’d like to think you do. You strive to rate employees in the most objective way possible, but if you’re doing it based only from your own perspective, reviews are not as effective as they could be. 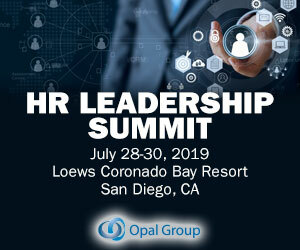 Making HR analytics a leadership priority is not just about encouraging HR to present the latest analytics innovations, but rather a true partnership to drive pivotal decisions. Written by: Erica Niesse. A successful workforce management system implementation is built on the premise that you know your organization’s requirements from a business process, procedure and policy perspective. For decades, business leaders believed that simply focusing on performance management was the key to building a successful company. Today we’re going to explore the intersection of creativity, innovation, and intrapreneurship (entrepreneurial activities occurring within an organization) and how these activities bring value to the business world. I hope you enjoy! Innovation is a curious thing. If there’s anything we can be sure about regarding our ever-evolving business world, it’s that stress isn’t going anywhere any time soon. For retailers in the U.S., Thanksgiving Day marks the eve of the most hectic day of the entire year: Black Friday. The National Retail Federation estimates 137.4 million shoppers will hit stores this year looking for deals. In order to cope with the influx of shoppers, which starts Thursday but continues through the New Year, retailers have been onboarding and training hundreds of thousands of seasonal hires over the past few months. Want to join the HR Roundtable and contribute insight to a monthly hot topic in HR innovation? Email dani@reflektive.com for more information. A good compliment goes a long way. What exactly is “ energy ” – in the social or workplace sense? In today’s competitive job market, many companies are looking beyond salary and benefits to stand out to top candidates. 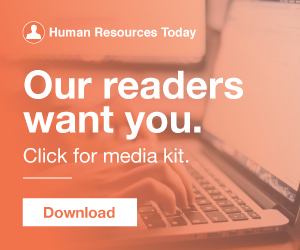 (Editor’s Note: This post is brought to you by HighGround , the employee development and engagement platform leader. They were named one of the Next Great Technology Companies at this year’s HR Technology Conference and Expo in Chicago. Enjoy the post!). With voluntary resignations at an all-time high and unemployment rates historically low, employee retention is a key objective for most HR organizations, and employee turnover is the single most prevalent HR metric. However, knowing your turnover rate does little to support strategic business plans. Written by: John A. Hinojos. Most of us have some type of smoke or CO 2 device in our homes which will alert us if situations have changed and we have a pending disaster. To keep these devices working correctly, it is advised that you replace the batteries twice a year. Would you believe me if I told you that the happier your employees are, the more successful your company will be? It may sound like the definition of a “Care Bear” management style, but study after study has shown that employee happiness has a direct correlation to your bottom-line. Going way personal today. Take it or leave it, but I always write what moves me. Thanks! Dear Peanut, We are so very excited to meet you. A great company culture is obvious: it just works. Projects get done, and people are happy to be there. There’s an energy in the air that invites productivity and participation, and even if it’s not perfect, it’s at least a place where everyone feels comfortable. . If you work in corporate America you worry about employee engagement. If you work in corporate “World” you worry about employee engagement. And if you pay attention to employee engagement data you know it really hasn’t changed much in 10 years or so. Implementation is about people. 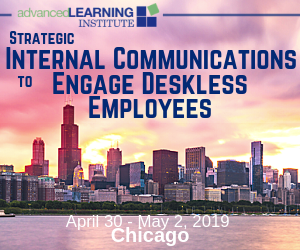 This may seem obvious, but it was an especially notable observation at the HR Technology Conference held in Chicago recently. If you’re like me, you might also be addicted to listicles, these articles in the forms of bullet-points that distil information in a very digestible way. One of the things that I love about being in human resources is that the profession is constantly evolving. Whether they happen once a year or once a month, performance reviews are an essential part of any business. If you want to build a performance culture, how you conduct performance reviews can make or break your business. At the recent HR Technology Conference , sessions on data-driven HR were standing room only. Written by: Erica Niesse. Success! By now your organization has completed the Requirements gathering and Configuration stages of your Human Capital Management Systems (HCM) Implementation.